There are many fidget spinners out there today. These are made from either wood, metal, or plastic frames with bearings made from steel or ceramic. They also come in different shapes and sizes. Fidget spinners have gained popularity because of its simplicity, easiness to use, and low-cost. Furthermore, this compact and pocket-sized device can be carried anywhere. Fidget spinners are not only used for entertainment but are also marketed for people with attention deficit hyperactivity disorder (ADHD), anxiety, and autism. These can also help with correcting habits such as nail biting, smoking, fidgeting, and others. This metal cog gear is a new design from Raptor. This comes in the standard tri-spinner with a twist. The cogs have rounded edges that are placed between two stainless frames. It comes with a center sun gear and three planetary cogs connected to the center, creating an amazing effect. If you’re a fan of tinkering, then you will love this because you can see the gear mechanism work as it is being spun. It is made of stainless steel which makes you assured of the durability. This is available in four different sizes and colors. There is also an option for a dual or tri -option. This toy is great if you’re feeling tired or stress from day-to-day activities and just want relief. Hysada fidget spinner is made from aluminum that makes it light and durable. Its smooth surface makes it very comfortable and great to handle without adding any strain to your hands. It is easy to maintain since there is no need for repair maintenance. Do not clean the fidget spinner with water or alcohol. If the toy feels a bit lose, just tighten the stainless cap. The lightweight material and design make sure that the fidget spinner does not make any noise to annoy anyone around. This also makes it easy to carry and is suitable for both kids and adults. Just put the spinner in your hands and spin it rapidly with continuous strikes. It takes practice to get It spinning indefinitely but it’s easy and just fun to have around. Having a hard time falling asleep at night? This has always been a problem of most. With the AMILIFE EDC fidget spinner you can feel calmer and would help you fall asleep. keep the spinning action longer. The spinner has a ceramic center bearing with SLA technology for better feel and experience. The AMILIFE fidget spinner rotates for about 1 to 3 minutes depending on the expertise level. It can be spun with either one hand (for those with experience) or with the help of the other hand (for novices). This helps those who have ADHD to focus and help people with sleep deprivation or those with anxiety. This is one of the most intriguing spinners out there – The Orbiter. After getting your hands on this, you would not want to go back to the generic types of spinners. This spinner has over 5 different flip actions and spin actions keeping you entertained. This spinner is made of two parts: the ball and the base. These are attached together magnetically. The base has very smooth edges that glide through your fingers when spun. It is very lightweight unlike the usual spinners out there. The Orbiter has a divot in the center making it a great tool to reduce your anxieties and worries. 1. You can roll your thumb over the ball to have it roll on its base. 2. You can flip it on its side to have the ball spin around in planetary fashion. 3. You can also hold the ball on the side to spin the base around the ball. This fidget is an anti-stress toy. It is perfect for people with anxiety, autism, and ADHD. The Toplay spinner is highly effective and recommended by other users. This spinner is made of ultra-durable ABS plastic body that is 3-D printed. The ceramic bearings reduce friction within the center ensuring durability, comfortability, and longevity. The bearings are made of premium ceramic with 608 inline skates. It is easy to carry because of its’ small size. There are also available ranges of colors to choose from. There are many ways people show and exhibit anxiety. They either tap their feet, click a pen, or keep moving around and can’t keep still. The 7D Customs EDC helps with fidgeting and increases focus and concentration of your energy. lasting. This ensures a better grip and increases better handling. The 7D spinner is also dirt-resistant protecting the toy from dust, grime, and scratch marks. This spinner is only 131 g (0.29 lb.) with the weight equally distributed for overall comfortability. The spin rate averages from 60 to 90 seconds with a steady and consistent spin. This product is very promising for those who are looking for a low maintenance but long lasting spinner. The Vafru Fidget Cube model is a new decompression toy that has an unconventional design. It provides six different means to release excess energy in a discreet and constructive way. – Joystick: a small stick that can be moved in a gliding motion. Good for game enthusiasts. – X Button: Five buttons arranged to form an “X” which can be clicked. Three makes a sound when clicked while the other two do not. – Round Dial: For the thumb, just move the dial in a circular motion. – Giant switch: Flip slowly for a silent click or flip faster for an audible click. 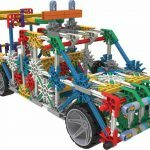 – Gears and ball: Can be clicked. – Grooves: Bottom of the cube can be rubbed relieving anxiety. The Magic Cube comes in different colors. The body is black with the elements ranging in different color schemes. This is compact and easy to handle and bring around. For those who lack focus or those who wish to reduce anxious habits such as nail biting or hair twirling, Victorem EDC is the perfect spinner for you. It gives the feeling of comfort and decreases the urge of fidgeting and unwanted motion. The difference of this spinner from other spinners is that this one is made up of metal which gives you longer spins. The body of this spinner is made of copper and brass which makes the spinner durable and stable. In addition to that, this model comes with the eye-catching design of rose gold tone and metallic gold tone. Its bearings inside the middle grip are ceramic and cage-less. It weighs around 75 g and is equally distributed. The spinning time out of this spinner averages up to 5 minutes but it could last longer than 5 minutes. If you notice the spin rate getting shorter, all you have to do is to adjust the metal piece inside. There are some people who need to have something in their hands whenever they think or is busy with something. They have the urge to fidget and to ease anxiety. One way to conquer this is through a spinner. It helps bring out and deal with issues like stress, anxiety and depressing thoughts. These feelings usually distract one’s performance and through this spinner, you will find it easier to focus. This model of Spinner could be used by both children and adults. It does not not reduce stress but it is also something you could do whenever you get bored. It could also help deep thinkers to produce creative things and thinking. This model is portable and could easily fit your pocket. Stressed? Anxious? But you need to concentrate and cannot? The new Raptor R1 could help you ease these feelings and help you concentrate. Raptor fidget spinner has high-speed tri fidget spinner technology that reduces stress, symptoms of ADHD, ADD, Autism Adult Children and Anxiety. This model is made up of ceramic bearings which provide a better grip. It has a sleek frame and is an injection moulded. There are no 3D prints on this spinner which makes it very smooth and friction free. It spins fast and could last about 3 minutes of spinning continuously. This spinner is injection moulded which is from ABS plastic that makes this product stronger and at the same time eco-friendly. It’s finishing is top of the line and it has high resistance from shattering. It is designed with ZrO2 hybrid ceramic as its bearings which allows this spinner to perform better and rotate effortless for a maximum length of 3 minutes. In addition to that, this spinner also comes with three additional bearings which add to the inertia, momentum and length of spin. Tri-Spinner is very portable and could fit any pocket. It is light, durable and is perfect for those who have sensitive hands. It is non-irritant which is perfect for those who have ADD or ADHD. Its spinning does not make any sound and spins with smooth movement. This spinner’s bearings are easy to clean and are removable. yet help you focus. One good example of this is the basic Raptor fidget spinner that has a bearing in the center. It comes with a frictionless rotatory movement that moves by flicking of the fingers. It is a great way to keep your hands busy and help you focus on something you would need to focus on. Furthermore, this toy helps adults, teenagers and children in diminishing bad habits such as smoking, fidgeting and nail-biting. Though this is not supported by scientific study, a lot of people have been suggesting it to those who are dealing with stress, boredom, fidgeting, ADHD, and anxiety. Superior quality – Made of copper, steel, brass, and titanium. These are high- quality materials and produces spinners that are quiet and its weight is equally balanced. These stress reliever spinners are more expensive compared to other types of spinners. Professional quality – These are made of wood and provides a classy and professional look. This could be displayed and brought to the office. It is very lightweight and very portable. They tend to last long just like the metal spinners. They come in mid-price level. Cheap Quality – These are 3D printed spinners. They are the cheapest among all types. They easily break and when you spin them they are a bit noisy and loud. This is recommended for those who want to try spinners for the first time. 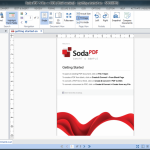 Dual Bar – They are the simplest type. They are made of different kinds of materials including plastic. It has three bearings and its central bearing is usually the one that is being used to hold the spinner. Tri- Bar – This type has an advantage over the dual bar. It is more flexible and is more liked and favored by many. It is considered as therapeutic. Quad Bar – is a modified version of the tri-bar. It has extra bearings and flexibility. This type of spinner is usually used by patients with high levels of panic and anxiety. Custom Bar – These are DIY types of spinners. They are usually made of waste materials. 1. Killing boredom- sometimes when we are in meetings or on a call or even just waiting for the bus, we get bored and we need something to do. Having fidget spinner in our hands could address this issue and help us from doing unhealthy habits while waiting and bored. It diffuses the urge of biting nails or twirling your hair. 2. Better focus and concentration – Nowadays, some hospitals and offices employ finger fidgets to improve mental faculties of patients. It diverts its attention from other things and helps one to focus. 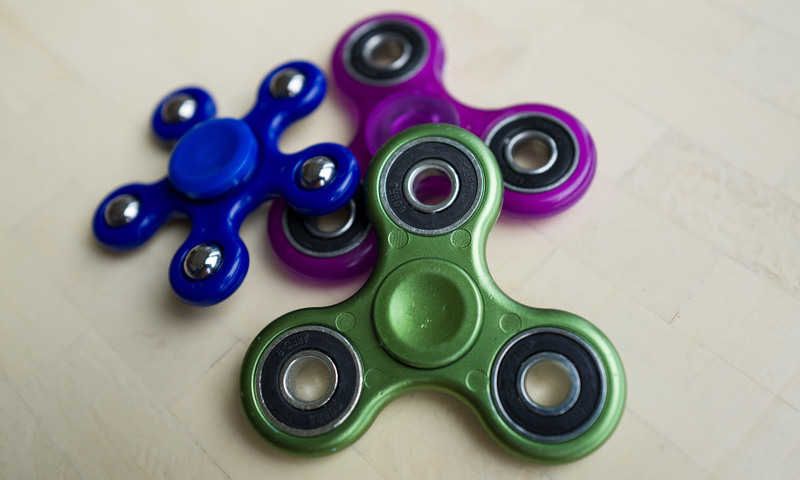 It is said that people suffering from mild Autism, ADD and ADHD find it easier to concentrate more when using a spinner. 3. Overcoming addictions- Finger spinners help people divert their unhealthy habits and addictions like habits of nose picking, nail biting, hair twirling, pencil tapping and desk drumming. Sometimes even smokers find it easier to decrease their smoking habits through a spinner because it keeps them occupied. 4. Tending overactive personalities- There are some people that find it difficult to stay put in one place for a very long time. This is also a common trait of Autistic patients. They need to be in constant motion for their anxiety to be reduced. 1. Actual need – It is known that a fidget spinner could increase the concentration of students and employees. It could also keep one’s idle mind occupied. With these types of needs, it is recommended to purchase a smooth fidget spinner of no dual bar. However, if you need a fidget spinner for those suffering from autism, ADD or smoking, it is more recommended to buy a high speed, high quality and durable fidget spinner. 2. Basic Materials – You should also consider the materials used in creating the fidget spinner as it determines the durability of the spinner. Moreover, different materials used also impacts the effectivity of the spinner. 3. Bearings – The best bearings in the market is the ABEC-11 type bearings. They are EDC customs dirt repellants and could resist spinning moment and offers lesser friction. 1. Our top pick – the best fidget spinner and our number one recommendation is the Raptor’s High- Speed Tri-Spinner Fidget Toy. It is the most effective spinner to relieve stress. It is affordable and beneficial. It spins smoothly, quiet and could spin for a long time. It is fun to play with and could also spin on flat surfaces. Also, when you spin it, it does not create any friction. Its bearings and frame are made of amazing, high-quality materials. It is sleek, unbreakable and it has been injection moulded also. As for its price, this model comes at a modest price. 2. Our Premium – Our premium choice is the Anti-Anxiety 360 Spinner from Zekpro. It is portable and could fit any pocket. It is created with high-quality materials and is very durable. It spins smoothly and does not make any sound. It has smooth edges and could be spun using one hand only. This spinner could spin up to 55 seconds on a flat surface and 1.5 minutes when spun using one hand. If you use two hands, this spinner could spin up to a maximum of three minutes. 3. Great Value – Among all fidget spinners, AMILIFE’s EDC is the one that gives the greatest value. It comes at a modest price, affordable and is very reasonable. This model comes in different colors – gold, black, white, silver and rainbow. Its average spin is about 1 to 3 minutes. Its bearings are made of stainless steel and its center is made of ceramic. It is removable and easy to disassemble and assemble. With top of the line high-quality features and affordable price, you could not go wrong with this product.